Jaipur is the capital of Indian state Rajasthan. Being center of attention, there are many places to visit in Jaipur and many things to do. But, there is one problem: The people who visit Jaipur the first time miss many places. Partly because they felt they were not worth visiting OR someone said “I would not recommend it”. He does not like museums does not mean you too don’t like it. Right! You might be a tourist OR a local searching for Places to Visit in Jaipur OR things to do in Jaipur. And, you are not sure what to do. Which ones should I visit? Since you have found this article, relieve yourself. You have come to the right place. All your problems end right here. 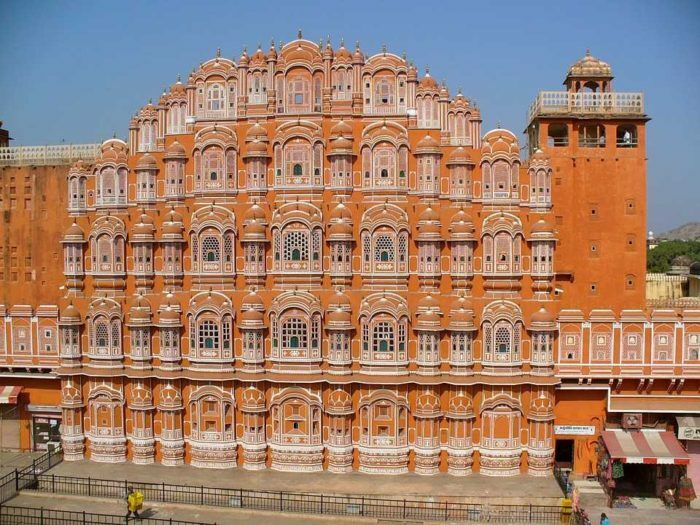 I have compiled the list of the best Jaipur tourist places and attractions. I have also divided this article into various categories. So that you can skim right where you want to go and see what’s in it for you. Like our previous article, Top 25 Places to visit in Jodhpur, this article too has WIIFY section. It means ‘What’s In It For You’. This will give you exact idea of what to expect from these Jaipur tourist places. WIIFY contains list of noteworthy things about that particular place. These are my efforts to make this article as helpful as possible. And, I am sure as you will read further, you will love this article too. Amer fort and the palace are the masterpiece of history of Rajasthan. This is a must visit in our list of places to visit in Jaipur. The fort is on a hill. Guide is a must, to understand the history behind this place. Don’t pay more that 250 (per couple). Book an elephant ride for Rs 1000. But don’t tip the Elephant Mahut, there is a clear sign asking not to do so. If you book it early in the morning, you get complementary early morning shower. If you have never rode an elephant, you have a chance here. The elephants are dressed and decorated. The highlight of the Amer fort visit is the Sheesh Mahal. It is also called Mirror Palace OR Hall of Mirrors. Its walls have thousands of integrated mirrors. They all add up to create an effect which is breathtaking. This all means that here are opportunities for photographers. Jantar Mantar is the right symbol of Indian knowledge about Astronomy and Astrology. This place gives you an idea of where the ancient Indians stood in astrology and time science. This place is a UNESCO World Heritage site. It was built for Maharaja Sawai Jai Singh II, founder of Jaipur, in 1738. This is the largest of all the five structures. And, it is more scientific and accurate. It has total 19 instruments. You can buy combined ticket of City Palace, Jantar Mantar outside Jantar Mantar. Things here are interesting, but without a guide many things may not make sense. He can explain how they work & also show some tests. The instruments that they had during that era for tracking the time are accurate. We take our watches for granted, you can see here how much efforts went in to get where we are today. There are two Sundials. One of them, Samrat Yantra, is the largest sundial in the world. These still operate fine and are accurate. The small sundial is accurate to 20 seconds and the large one to 2 seconds. Maharaja Sawai Pratap Singh built the palace in 1799. It is also called Wind Palace OR Palace of the Winds OR Palace of the Breeze. It’s a five storey exterior. It is built with Pink and Red colored stone, so it is reddish in color. It is hard to believe but there are something like 953 windows on this building. These are called Jharokas, decorated with intricate lattice work. The royal women observed the street festivals from these windows. This entire palace resembles the crown of the Hindu God, Lord Krishna. It has good architecture. You can enjoy it having a Kulfi from nearby shop. If you need to go inside Hawa Mahal, it is from the City Palace. It is stunning when viewed early in the morning with the golden sunshine. Actually, Hawa Mahal, Jantar Mantar and City Palace are close to each other. It was built in 1732. The Jaipur Maharajah live in this palace. You can still visit the public areas, museums and audience rooms. You can buy combined ticket for Rs 1000. It lets you into Amber Fort, Jantar Mantar and several other places. But it is valid only for 2 days. Guide will charge around Rs 200. There is a part of palace, Chandra Mahal, which costs Rs 2000 to enter. It has all royal utensil, furniture etc. They will take your photo at the start which you can buy during exit. There are jeweled walls, ceilings and paint made out of Gold. Jaigarh Fort is the oldest of the historical buildings in Jaipur. This is where the Jaipur state started its journey. It is built on Cheel ka Teela or Hill of Eagles, part of Aravalli hills. It is just 1 km from Amer Fort. This fort was built in the 11th century as a defensive building. This fort is the private property of the Jaipur Royals even today. This fort was the army base of the then King. It has Canons (Tope in Hindi) and Canon factory. World Largest Canon, Jaiwaan Tope, is placed at the highest point of this fort. It took 4 elephants to operate this canon. The canon was never fired. But people say it had a 35 km range. There is a restaurant inside this fort. There are water tanks which has gold hidden in them. You can view the Amer fort and Man Sagar Lake from the top. There is a collection of photographs of the last two Jaipur kings Sawai Man Sing II and Sawai Bhairon Singh. Being on top of the hill, it offers you a 360 view of the city. You are in heaven, if you visit this place in rainy season. The water harvesting system installed is unique. This place is around 10 kms from the main city. It is located on Aravalli Hills. The color of fort is yellow and with sunshine it looks like Golden fort. It has 8 similar palaces which were for 8 Queens of the King. Take a guide there, he will explain many things. You get panoramic (360 degree) view of Jaipur from the top. The sunset from here is fantastic. During the night, the entire Jaipur gets lit up, the view of it then is awesome. An Indian movies Rang De Basanti had few shots here. There are two restaurants: ‘Once Upon A Time’ and ‘Padhaav’. It is 1,000 years old step well made to store water in the desert area. It is close to Amber Fort. This was a place to store water, bath and women would socialize here. It is well preserved. There is no ticket or entry fee. There are a main set of intricately carved steps leading to what was an old bathing pool and is now a home to koi fish. This well was featured in one of the marigold films. This step-well have fishes in it, local people come here to feed fishes. The area around it is peaceful. The stairs are in zigzag shape and delivers a different look to this pool. Going down the step-well is prohibited. Bribe him Rs 100 and go down. It is situated on the way to Amer fort. This is located in the middle of Man Sagar Lake. It’s a 5 storied building, 4 of them are under water. It’s a man-made lake created in the 16th century. A dam was built across the Darbhawati River to deal water shortage problems. The palace and the lake around it were renovated and enlarged in the 18th century by Maharaja Jai Singh II. The Jal Mahal is like Lake Palace in Udaipur. The reflection of the sun during sunset is awesome. You can get someone to take photos for you with this Mahal as background. You can enjoy Elephant, Camel and Horse rides here. The music and light shows here are fantastic. You cannot go inside, so just look from outside and move on to Amber fort. This palace is not used right now. Government is planning to make a hotel and restaurant tin it. Enjoy tradional food here like Chana chat. It is a hidden place among the list of places to visit in Jaipur. Because it is far away from the city. The structure houses the tombs of the maharajas of Jaipur. It is the resting place for the male royal family members. It ranges from Jai Singh (16th century) to the recently cremated Bhawani Singh (2011). This place is like Raj Gat in Delhi. Entry fee: Rs 20, even for foreigners. It is quiet and peaceful. Also surrounded by natural beauty. The differences in architecture of times of different kings can be seen here. Chhatris built depending on time of death and importance in king’s family. Monuments of the Kachhawaha Rajput rulers of Jaipur. The place is known as Gatore ki Chhatriyan (umbrellas) amongst the locals. Tombs are characteristic of Mughal architecture. But in case of Rajput rulers Chhatris are made. Chhatris are open structure in which a cover is supported on several pillars. These are circular structures. The rulers were devotees of Lord Krishna. The inner walls of Chhatris depict various scenes from life of Krishna. For example, Krishna holding Goverdhan Parvat. Scenes such as Samudra Manthan are also carved here. There are no toilets inside the monument. There are shops near parking where you can get tea, cold drinks, biscuits etc. Garh Ganesh Temple is near the parking. Monkeys here will keep entertainment going. It is a beautiful temple of Radha-Krishna. It is near City Palace & Jantar Mantar. Large Lord Krishna Murti. Stunning view of lord. Premises are neat and clean. Do attend evening aarti. Good spiritual experience. There is big space and you can see Krishna from anywhere. Ring the bell, chant Radhe-Radhe and relieve yourself. There is also a park behind the temple. This temple is near the Moti Dongri Ganesh temple. It’s a great example of ancient Hindu temples. Attractive architecture. It’s a white palace like structure. As you enter the temple, a feeling of great inner peace comes. No one demanding money and offerings. No need to wait in queue. Well maintained and clean temple. Lots of space available to sit and relax. Opened from 5 AM to 9 AM and then 3 PM onwards. Breathtaking view when you see the idol as the curtains part. Evening aarti is one of the thing you should attend. It is peaceful. Spend some time in silence offering your own personal prayer. No photography allowed inside the temple. Next to the temple are the hills. A garden is built around this temple. Shoes are kept outside the temple. As already said this temple is near Birla Mandir. This temple is at some height. It is the most popular and renowned temple of Lord Ganesha in Jaipur. The temple is well maintained and clean. The statue of Lord Ganesha attracts eyes. The silver work done behind the Ganesha is awesome. This place has many Prasad shops and their specialty is Besan Laddoo. This temple is surrounded by other temples. Like Lord Hanuman Temple, Mata Vaishno Devi Temple, Lord Shiva Temple (265 year old) etc. It is lord Hanuman temple. It’s 35 kms away from the city. It is near the Surya Mandir. This temple has 500 year old. There is a deepak which is continuously lighting. This temple is at the bottom of the hill and Surya Mandir is at the top of the mountain. You can feed monkeys here. They are friendly to humans. If you are scared of monkeys, you must visit this temple. You will change your mind here. The view of Jaipur city from here is amazing. There is also old Shiva Temple. There is a kund which has holy water. The water comes from the mountain and no one has been able to find the source. It’s said that the image of Hanuman Ji appeared in the rocks hundreds of years ago. People still swim and bathe in the holy water. Monkeys are the symbol of lord Hanuman. So bring along some bananas, peanuts…anything you can! There are few Surya temples in India. This is one of them. This is at the hill of Galta Ji temple. These are Aravalli hills. The scenes during the sunset are fantastic. It’s clean, calm and peaceful place. You can see City Palace, Nahar Garh, Moti Doongari, etc from here. The air is cool due to open space and hill height. There are tea-stalls at entry point which serve you samosa, kachori, Biscuits etc. The architecture of this temple is good. It looks good in rain. This temple of lord Hanuman Ji is located on Delhi-Jaipur Byepass. Calm and peaceful place. It is situated in hilly area so out of crowd sight. Still crowdy on Tuesdays and Saturdays. People have the facilities for organizing “Sawa Mani”. It is a ritual done when your wishes are realized. In this you invite people to join the Prasadi. Kitchens are well made for social gatherings. There are also cute monkeys along the way. Enjoy the experience of feeding them. E-Vehicle for senior citizens & disabled people. By the side of this temple, Shiv Linga is decorated with different theme every day. There is also a Ram-Sita temple. Which is good as Hanuman Ji himself worshipped lord Ram. There are Prasad shops and restaurant. It is located in the mid of Vaishali Nagar. Here photography is allowed. So, capture the moments. Big garden. A place full of greenery. Have Indian vegetarian food to buy. You can eat your food there or take it away. Price is reasonable. Security is strict. So, electronic devices, pens, handbags, watches, etc. are rejected. Amazing architecture. It is new temple so no any ancient building. There is an amazing light show in the evening. Open daily: 9 Am to 12 PM and then 4 PM onwards. The film, show and boat ride are an added bonuses. This temple is on the way of Amer Fort to Panna Meena Ka Kund. It was made in 1599 – 1608 over a period of 9 years. It was built by queen Kanakawati in memories of her son Jagat Singhji. He died in his young age in a war. It is a temple of Lord Krishna & Mira. Mira was a devotee of Lord Krishna. Opening hours: 6 AM to 1 PM and from 4 PM to 8 PM. It is said that Amer has about 300 temples. This is one of the best temples of Amer. The only temple in the world with a statue of Mira bai and lord Krishna. The idol of Lord Krishna is the same idol that Mira bai used, to worship him. Wonderful architecture. It has fine carving of marble and sand stone. The architectural style of temple incorporates Hindu, Mughal and Jain styles. The temple is built using different stones and is unique mixture. The mandap is two storied, having paintings made few centuries back. This temple is 15 kms from the city, but 6 kms from Jaipur airport. It was built in 10th century. There is a myth about this temple. These statues in the temple were found under the temple itself. And, there are more statues under this temple. No one will bother you here. Quiet & peaceful. You will have to remove your shoes and leather items before entering the temple. Photography in this temple is prohibited. Jain food is available after 11 AM for a fee of Rs 50. There is a Jain dharmashala in the temple. They provide accommodation for Jains only. There is a book store inside the temple. The temple has got seven underground floors which are kept closed & secret. It is said that only an ascetic Digambara saint can enter the underground and bring out the Idols. That too for a limited period, which is declared and decided before. Muni Sudhasagar Ji, a disciple of Acharya Vidyasagar Ji, visited the underground floors. He brought valuable, never seen before, Jain Murti. It was made of precious stones. He did it in the presence of more than 5 lac Jain disciples. He claimed that he encountered many Yaksha (Devas) in form of snakes. They were there to protect the treasure. Ordinary people can’t enter in the underground floors. Not without seeking permission from the protector gods. The process of bringing Murti and keeping back was telecasted live on TV channels and media. This museum is at Sanganeri gate of Jaipur. There are many pigeons and they are symbol of Peace. This museum has a lot of the personal collections donated by the Jaipur royals. This is in the Ram Nivas Gardens. Collection of pottery, furniture, clothing, armaments, arms, weapons, crockery, paintings, clay figurines depicting everyday life including yoga postures, etc. Only 6 museums in India have ‘Egyptian Mummies’. This is one of them. Ground Floor has good details of Rajasthan’s past, its culture, its previous rulers, etc. It is a big museum. So, it might take 3 hours to explore it completely. This museum is built by one man as his personal collection. Collection of hundreds of paintings, articles, locks, dresses, statues, Sanskrit manuscripts, brass teapots, match boxes, pottery, money, carvings, etc. Entry fee: Rs 100 and Rs 50 for the chairman to guide you (optional). Photography is not allowed inside. This is an interesting and well-presented museum which shows the history of Indian textiles. How was it formed, who were these people and how it is done. It is near Amer fort. This place was a Haveli (built in 16th century) which is turned into a museum now. It is sponsored by the Anokhi Company to sustain modern day craft. It has a gift shop to buy stuff for family and friends. The shop sells a good range of books and a small selection of accessories and clothes. One thing I need to mention is that, this shop is too much costly. Block printers show how to carve wooden printing blocks and how to use them to print cloth. There is a tea and cafe shop in it. The information boards are clearly written. They help in understanding the block textile printing process. This garden is situated near C scheme (Ashok Nagar) and at Ram Bagh circle. This place is green and full of natural beauty. It is well connected by public transport. So, reaching here won’t be a problem for you. This garden has a 5 km walking and jogging track. Rambagh Polo Ground and Rambagh Golf Club lie within this park. The Indian National Flag (Tiranga Janda) in this park is 206 feet long. In fact, it is the tallest in the country. Feel proud as you see it. Parking is available near all the gates. In evening, music concert is organized in the park. If you want to take the big view of central garden, visit Tapri restaurant. From the roof of the Tapri restaurant you will get big view of central Park. This park is neat and clean. It is well maintained. You can spend some peaceful time with your friends and family. They provide free Wi-Fi, yes really. Sitting benches are available. They are placed distant from each other, so provides a great space for you. This garden is near Galta Ji. It is themed on tales of the love between God Krishna and Radha. Paintings inside the park describe several stories about Radha and Krishna. Fountains, painted pavilions and galleries make this garden wonderful. Calm place, full of greenery and fresh air. This place is about all about love. You can have some romantic time here. This is the lake on which Jal Mahal stands. It’s a man-made lake. King Man Singh I built it in 1610. I have already said many things about Jal Mahal. ‘Jal Mahal’ means water palace in the Hindi language. This lake is spread in 302 acres. Camel, Horse and Elephant rides available. This is a good spot for taking beautiful photos. Watch ducks, birds, fish in the Man Sagar Lake. Water here is collected from rain. In 1610 Maharaja ManSingh-I built a dam on rainy river Darbayavati. To collect rain water Maharaja ordered to build 320 meter long dam on river Darbayavati. It is located at JLN Marg and it is near Birla Temple. This is an art & culture center, place for artists. This is a Haridwar for artists. It is building having theatre and a coffee house. Plays are organized regularly and are attended by large number of people. The coffee shop is good and the prices there are in decimals like Rs 19.20. Because some decades back, you could pay in decimals. There are galleries which host the art exhibitions of various artists, photographers etc. The local fairs related to handicrafts and arts frequently happens in this place. Many forms of art seen here. Such as sculptures, paintings, photography, galleries, folk dances, folk theater, drama etc. There is a restaurant nearby, which has good Rajasthani Thali. Jaipur Zoo is the fifth oldest zoo in India. Barrackpore near Kolkata is the oldest zoo of India and it was built in 1803. Jaipur Zoo was built in 1876 during the rule of Sawai Ram Singh II. It is located in the Ram Niwas Bagh, near Albert Hall museum. Well maintained and clean zoo. A good place for children. There are a total 53 species including 23 mammals, 24 birds and 6 reptiles. Besides entry fee you have to pay Rs 100 for still camera and Rs 300 for video camera. Timings: 8:30 AM – 5:30 PM (in summer: 15 March to 14 October), 9:00 AM – 5:00 PM (in winter: 15 Oct to 14 March). Tuesday is holiday, not Sunday. Notable animals include two white tigers, leopards, varieties of dear, crocodile, varieties of birds, hyena, wolves etc. There is a horse ride just outside the zoo for Rs 50. I have said enough about these places to visit in Jaipur. It is now your turn to visit them. I believe you enjoyed reading it as much as I enjoyed creating it. There are many other things to do in Jaipur than this list could ever cover. So, make friends and create your own experience. Who know you might find some hidden Jaipur tourist places (Make sure to share your experience with me 😉 ). This list barely covers only places to visit in Jaipur not places to visit near Jaipur. Go there and explore! That’s all I can do for you. Feel like doing something back? Share this article and spread the love. Someone might benefit from your little efforts. Anyway, Happy Journey! Pankaj Solanki is the founder of SuncityJodhpur.com. Here he writes easy-to-digest info about Rajasthan and its various cities. Don't forget to share this site with your Family and Friends! It was really worthful. Thanks a lot.